Our nation, and in fact our world, stands at a tipping point and we need thought leaders to step up and help guide us from the brink. One core issue hindering the ability to create holistic, forward-thinking, national cybersecurity policies is the lack of an unbiased, non-partisan foundational framework for thinking about the bedrock principles of cybersecurity and cyber warfare. Cybersecurity is a wide-ranging issue that touches on almost every area of law and public policy, and requires an interdisciplinary approach to fully appreciate. Thus, the Institute believes that education and training, in these various disciplines, for policymakers and their staff is both an essential facet of its mission and an essential component of any possible solution to the problems it was founded to confront. We hope to educate policymakers not only on the threats and issues for which they are responsible, but also on the threats facing the public, private and non-governmental sectors as well, and options for future public-private collaborations to help secure both sectors. Barry Dynkin is the Co-Founder and Co-Executive Director of the American Cybersecurity Institute and head of the Grauman Law Group’s Cybersecurity Practice. 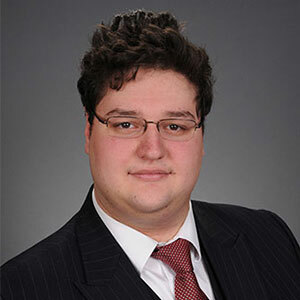 He was a legal researcher on the Tallinn Manual on Cyber Warfare 2.0 and a contributing author on Law Firm Cybersecurity, a publication of the ABA, and has published numerous papers on a variety of legal, cybersecurity, and cyber warfare related topics. He was also on the staff of the Journal of Law and Cyberwarfare. 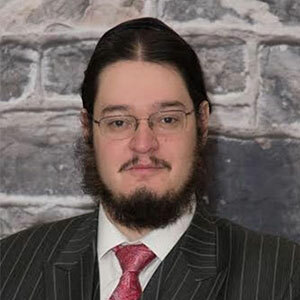 Benjamin Dynkin is the Co-Founder and Co-Executive Director of the American Cybersecurity Institute. 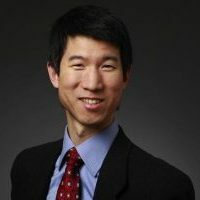 Prior to that, he was a Senior Forensic Analyst at Law & Forensics and the Managing Editor of the Journal of Law and Cyber Warfare (www.jlcw.org), the nation’s preeminent legal publication on cyber warfare. In that capacity, he oversaw the Journal’s publication, as well as its annual conference, and several initiatives, including private sector roundtables, as well as congressional trainings. He has co-authored and contributed to dozens of articles in the fields of cybersecurity, cyber warfare, digital forensics, and e-discovery. 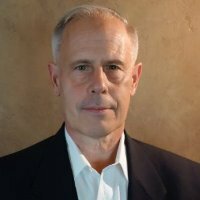 Jeff serves as the Chief Technologist of ClaritySec, an Upstate New York based security technology startup. Prior to this, Jeff was the Senior Principal Scientist and Director of Research for Cyber Systems, Weapon Systems & Sensors Operation at Alion Science and Technology. Prior to that Jeff was the Director of the Penetration Testing Team and a Cyber Architect and Program Manager at Northrop Grumman. 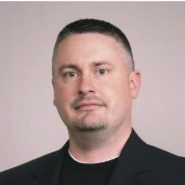 Jeff is a globally respected security researcher and systems programmer with over fifteen years in the field. Jay Ribeiro is the Chief Information Security Officer at the Federal Election Commission. 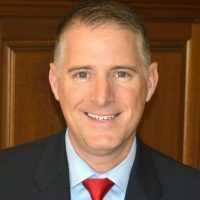 He is a seasoned Information Security Executive having served on senior levels in the private and public sector, including his time as a Manager of Cyber Risk Services at Deloitte and time at the United States Departments of State and Defense and at the United States Air Force and United States Army. He is also a veteran of the United States Army and United States Air Force. 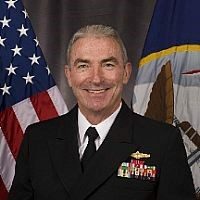 Rear Admiral Gordon Russell is a graduate of the University of Colorado, and received his commission in May 1981, through the Aviation Officer Candidate School. After receiving his commission, Russell received orders to Training Squadron 10, where he finished Basic and Intermediate Flight Training as the top naval officer in his class. Russell requested release from active duty in 1982 and, in March 1984, affiliated with the Navy Intelligence Reserve Command. Russell’s unit and staff assignments include: intelligence analyst and department head billets with Fleet Intelligence Center Pacific and Joint Intelligence Center Pacific units; assistant deputy chief of staff, Training and Readiness, Navy Intelligence Reserve Command; executive officer and commanding officer, United States Southern Command (SOUTHCOM) 0270; chief staff officer, Reserve Intelligence Area 6; commander, Reserve Intelligence Area 13; and chief of staff, Navy Intelligence Reserve Command. Operational tours include two-months as the assistant intelligence officer aboard USS Carl Vinson (CVN 70) while deployed to the Arabian Gulf; recall to active duty from January 2002 to May 2003 in support of Operation Enduring Freedom while serving as chief, Operational Intelligence Division, Joint Intelligence Center, SOUTHCOM. In this capacity, Russell led 168 joint military and civilian personnel who produced intelligence for the commander, senior staff, Task force commanders, and 30 U.S. Embassy country teams; recall to active duty April 2008 to March 2009 as the CJ9 strategic intelligence officer, Multi-National Force-Iraq. As the sole intelligence officer in a directorate of 187 personnel, he was responsible for facilitating directorate access to force-and corps-level intelligence organizations, as well as reach back to the broader intelligence community. Russell’s first flag assignment in 2009 was as commander, Navy Intelligence Reserve Command. In 2010, he was assigned additional duty as Reserve deputy commander, Navy Cyber Forces, and led the Reserve command through a major realignment and stand-up of the Information Dominance Corps Reserve Command, with responsibility to man, train and equip the 6,800 Reserve Information Dominance Sailors in preparation for deployment and operational support. Russell has completed Joint Professional Military Education I, Advanced Joint Professional Military Education, and is a joint qualified officer level III. His personal decorations include the Distinguished Service Medal, Bronze Star, Defense Meritorious Service Medal, Meritorious Service Medal (2), Navy and Marine Corps Commendation Medal (4), and the Navy and Marine Corps Achievement Medal, as well as various unit and campaign awards. 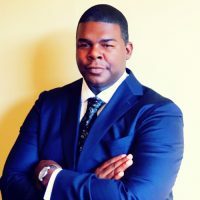 Eric R. Stride, a 15-year veteran leader in information security, including 12 years in the U.S. Air Force and at the National Security Agency (NSA), serves as the Senior Vice President of Emerging Technologies at cybersecurity firm root9B. His group is responsible for research and development of new capabilities and products. Mr. Stride brings significant technical and command experience throughout the cyber operations domain that includes numerous highly technical cyber operations for the Air Force, NSA, and US Cyber Command. Some of these positions include commanding a geographically separated offensive cyber operations unit; leading the Air Force’s first-ever regional cyber combat mission team to initial operating capacity; and serving as deputy chief for cyber operations at an NSA field site. Mr. Stride is also an alumnus of NSA’s prestigious Computer Network Operations Development Program. He has developed cyber capabilities for both NSA and the Air Force, in addition to serving as a subject matter expert to the Air Force’s cyber acquisition office. He co-authored the Air Force’s first weapons & tactics manual addressing offensive cyber operations, and was the U.S. Air Force’s first-ever Numbered-Air-Force level offensive cyber evaluator. Mr. Stride continues to serve as a reserve cyber warfare officer supporting US Cyber Command. Mr. Stride holds a Bachelor of Science in Computer Science from the University of Washington and a Master of Science in IT Management from Colorado Technical University, in addition to possessing numerous industry certifications. Dondi West is a Senior Cyber Threat Intelligence Analyst and Technical Risk Advisor. Based on thorough research, deep knowledge of cyber threat actors, and sound analytic tradecraft, Dondi is focused on delivering well-vetted, timely and objective analysis to decision makers and C-suite executives. A former U.S. Navy Officer with military qualifications in Cryptology and Information Warfare, Dondi currently works as a Senior Cyber Threat Intelligence Analyst at PwC in the firm’s internal Network Information Security (NIS) Team. In that role, Dondi leads the analysis and production of cyber threat intelligence products and deliverables in order to help prevent, detect, and respond to malicious activity on PwC networks and information systems. Prior to joining PwC, Dondi worked as a defense contractor supporting clients in the Department of Defense and U.S. Intelligence Community. Dondi holds a B.S. in Mathematics, a M.S. in Applied Information Technology, and a Juris Doctor degree from The University of Maryland School of Law, where he was an editor of the Maryland Law Review. 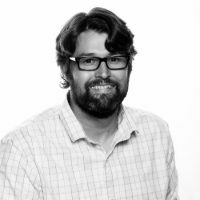 Sean Zadig, Ph.D. is the Director of Threat Investigations at Oath (formerly Yahoo!) where he leads teams of investigators and engineers and tackles hard cybercrime problems. Prior to that he has held positions as an Investigator in Trust & Safety at Google and a Special Agent at NASA’s OIG Computer Crimes Division. 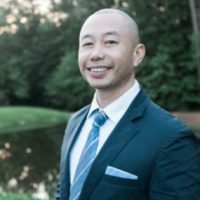 He also served as an Adjunct Assistant Professor at the University of Maryland University College teaching computer forensics and digital investigations. Lieutenant General (Retired) Zahner is a career Military Intelligence Officer with extensive leadership experience in intelligence operations at, tactical, Combatant Command, Operational Theater and National Intelligence Agency levels. He directed critical institutional modernization initiatives of both intelligence and cyber forces for the Office of the Secretary of Defense (OSD) and the Department of the Army. His regional experience includes extended service in Korea, the Balkans, but more recently South Asia, the Arabian Gulf region including Iraq, the Levant, the Maghreb, Trans-Sahel and sub-Saharan Africa. During a thirty-six year career, LTG(R) Zahner’s assignments included service in Airborne, Special Operations, Special Mission and heavy ground forces, notably the Joint Special Operations Command, 82d Airborne and 2d Infantry Divisions and the V and XVIII Airborne Corps. He commanded an MI battalion in Korea and an Airborne MI brigade at Fort Bragg. Senior assignments included the G2, XVIII Airborne Corps, Associate J2 for US Central Command during Operations ENDURING FREEDOM (Afghanistan 2001 – 2003) and IRAQI FREEDOM (2003) and the J2 for the US European Command. LTG(R) Zahner served as the J2, Multi-National Force-Iraq during 2005-2006, with focus on defining the Operational Environment, including the issues of Al-Qaida and the growth of Iranian-sponsored militias. He also served as the Director of Signals Intelligence, National Security Agency and as the Deputy Undersecretary of Defense (Intelligence/War-fighting Support.) Key tasks included direction of Secretary Gates’ ISR Task Force; OSD lead in the initial concept design for US CYBERCOM; restructuring the intelligence elements of ten Combatant Commands; and redrafting the policy charters of each DoD Intelligence Agency. Finally, as the Army’s G2, he sought to rebalance intelligence structure and capabilities to forces “at the edge” in light of emergent conventional and asymmetric threats. 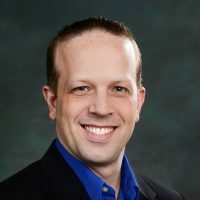 Andy Zolper is the Chief Information Security Officer and Head of Technology Infrastructure at Raymond James Financial. He previously served as the global head of IT Risk Management for UBS. Prior to joining UBS, he led teams in IT risk management, global program management, and business process reengineering roles at JPMorgan Chase. Before JPMC, he was responsible for application development at Sterling Resources Inc, and developed the company’s process reengineering, e-learning and knowledge management software products. Before joining Sterling Resources, he served in various management roles at Verizon ranging from staff director of competitive intelligence analysis to field management of “fiber to the curb” deployment. Mr. Zolper is a US Marine Corps veteran, having served as a communications and signals intelligence officer. He is also a graduate of SIFMA’s Securities Industry Institute at The Wharton School, a Registered Operations Professional (Series 99), a certified Six Sigma Black Belt and a Certified Information Security Manager (CISM).